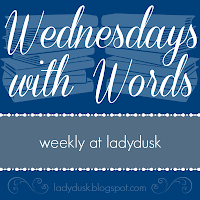 I have truly enjoyed hearing about other people's reads through Ordo Amoris' Wednesday with Words and now at Ladydusk. Below is the collection of what I have pulled from my reading. It is a fun way to follow the train of thought that goes through book selection and remember what I have read. I am still a book consumer instead of a "savorer" although I am working on slowing down. Many have read Laurie Bestvater's The Living Page which talks about notebooking. Part of the conversation is whether blogging could be a way of doing that. I am not sure it is quite the same as writing a passage in your own hand - but I think it is worth keeping these thoughts accessible. Knowing and Teaching Elementary Mathematics - reviews some of the key thoughts and terms discussed in the book. A folktale - my son's first common place entry. Thoughts about Reading - Thoughts about why we should read and creating readers in your home. Show Them Jesus - Bringing the Gospel into your home. 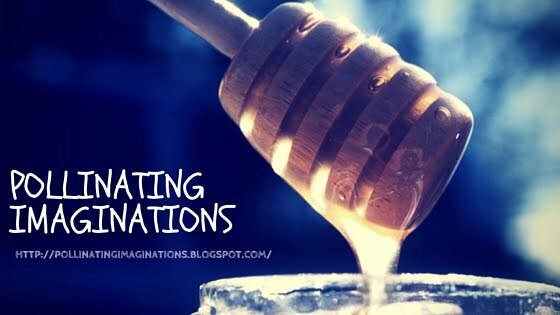 A Child's Work - A thoughtful look at the role of play in developing your child's imagination, vocabulary and social abilities. Let them imagine! Essence of Motherhood - A great quote about motherhood from Homepreschool - it's about you, not them. Quotes from The New Preschool is Crushing Kids - Thoughts about the proper time and way to approach reading in the lives of our young ones. Tom Sawyer - My first reading of this classic and a quote or two that made me laugh. Dante - On heroism, friendship and being lukewarm. Reflection - This week we were asked to look over all of our posts and pick a favorite quote or thought. This took me back to Wendell Berry and his thoughts about the rhythm and pace of life. Gymnastics and Music - Some thoughts from The Liberal Arts Tradition about what early education should look like in the Classical tradition - it should be active and have lots of stories, music and fun. A Running Start - This is a great book that taught me the difference between movement and athletics. It also helped me grasped what is developmentally appropriate at different age levels - I was SHOCKED! Her book does delve into academics as well, but her unique contribution is the focus on athletics and the young. Trivium Skills and Humor - I don't quote from Trivium Mastery - but I link to my favorite posts. I quote from The Art of Teaching and the surprising reason why humor is SO key in our studies and classrooms. Teaching Science - This post discusses the book Teaching Science so that Students Learn Science by my favorite science curricula developer - Novare Science and Math. Honestly, when I was introduced to his work I realized I could homeschool confidently through high school - even with a science kid. His philosophy book is very approachable and fully supports his tag line: Mastery. Integration. Kingdom. Educating the Child at Home - This BOOK! Although written in 1914 it discusses so many current issues we have with schooling. It is SO quotable. I could have done about 10 posts about it. It is a free google book and highly recommend you read it. Fun Reads - Includes some ideas about what I hope to read over the summer. Also brings out a quote that talks about epic stories and ballads for the 9 to 13 yo age group. I knew the stories but not the ballads - it's a great way to continue to bring poetry into the lives of boys that age. The Tale of Despereaux - We listened to this book on CD again. I love the power of story and its redeeming nature in this modern fairy tale. The Three R's - This classic book about teaching reading, writing and 'rithmitic reminded me of some good basic ideas as I begin 1st grade again. Straightforward and do-able. Heart and Mind - This is THE BEST analysis I have seen of how modern education just can't provide for true learning because it leaves out the heart, the will, the personhood of the child in it's theories. Beechick creates a useful model to help teachers (especially at home and in Christian contexts) put first things first. Her last chapters present some very practical ideas. True Play (part of the ARCH series) - Quotes and thoughts from Balanced and Barefoot and the need for creative outdoor play. The Clearing by Wendell Berry - So good. Poetry, something I don't often read. Twelfth Night - Fun quote from the Bard. Who knew my 10 yo would love it so much? Mr. Tod by Beatrix Potter - Who knew angry cleaning is nothing new? Black Beauty - A great story that addresses temper often. A little convicting. Sacred Ordinary Days - A review of my new liturgical planner (it includes the lectionary and the daily office). Also some thoughts about developing a "rule of life" - think trellis not measuring stick! Compassion and Teaching - A random collection of thoughts. I gush about a teacher I met and then share a quote that I love about walls and wings. 40 Days of Decrease - Ambiguity and Mystery - I loved this Lent devotional - a little something for everyone. I love how she invites us to the paradox of Christ's last days on earth. You Are What you Love - James K.A. Smith - Worship and Story - I really like the way he ties together the liturgical worship service with the story of Christ. How are we "restorying" our lives? Teaching to Changes Lives by Howard Hendricks - Touches on the 7 Laws of Teaching but is really his insight from 30+ years of teaching. Hint: it's about relationship and becoming who you want your students to be. Stitches by Annie Lamott - She is always an interesting read and I sped through this one and enjoyed her turn of phrase. Speeches of Teddy Roosevelt - He is SUCH a fascinating man. I enjoyed teaching my students about him and loved reading his work. His thoughts about the role of the citizen are great. Missional Motherhood by Gloria Furman - This book was refreshing and convicting. She is Gospel centered and on point. Don't read unless you want to be challenged and grow. Easy to Love, Difficult to Discipline - I found this book through a parent forum. I skimmed but didn't read all of it. I do like it and think that it offers many reminders that I needed. To Know as We Are Known by Parker J. Palmer (1 and 2) - I hadn't re-visited this book in a LONG time. Oh, it is good! He talks about objectivity in education versus a more relational approach. He also speaks to the role of the teacher as creating a space for truth, not rushing in with our own answers and letting our students hear author's speak. He talks about silence and being. It is a short but powerful book. Mind to Mind by Charlotte Mason and Karen Glass - This is the updated version of CM's Volume 6 - Toward's a Philosophy of Education. I think it is well done; however, in at least one crucial instance she might have edited a little too much. It was good to re-read and I can always see the original online if I want to compare! I was taken with CM's approach to "the way of the will" versus logic. Pilgrim at Tinker Creek by Annie Dillard - I just love her phrasing. Confession - I didn't read much past where this quote was found. Too many other things on my pile. Shakespeare's Storybook - We listened to Taming of the Shrew and then I read this tale. My son's got the point - no if their mother would live it things would be much improved! School Education, Vol. 3 (a second post) by Charlotte Mason - Since my oldest is now "of school age" I figured this would be a good read. It is. The second one contains one of my favorite quotes of hers! MLK, Jr. Speeches - I started reading some of these for my class and this quote about failure just struck me. My Utmost For His Highest by Oswald Chambers - All about letting God plant you and waiting for His work - not our own - to be done.